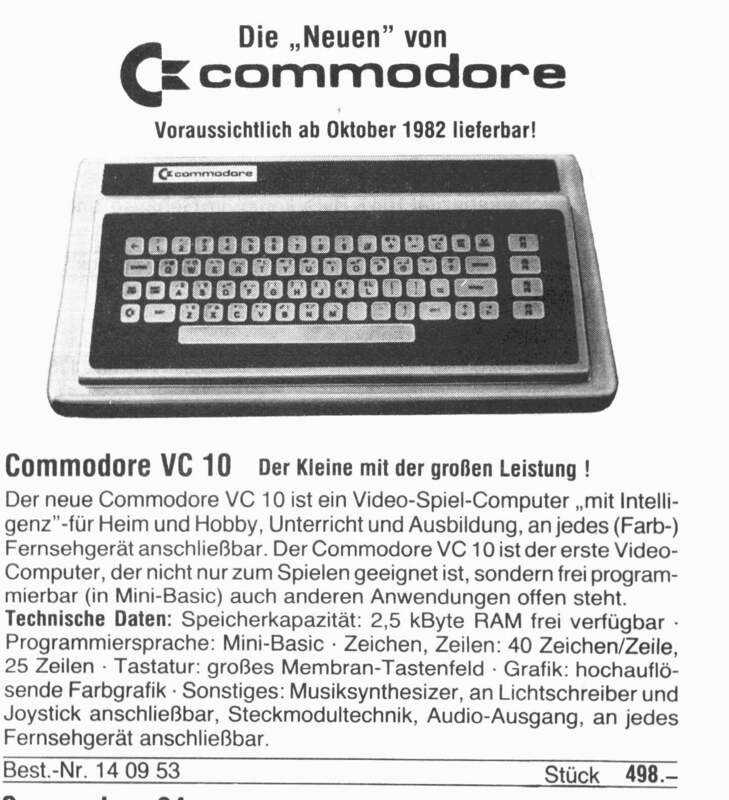 Description of the VIC-10 a.k.a. UltiMax, the early downscaled game-console version of the Commodore 64. A German advertisement featuring the VC-10.